As I have gotten older, I have found myself getting involved with more things. Only natural, right? I’ve collected new hobbies and new friends, and along with them, more responsibility. I’d stop volunteering for committees and boards, but I really enjoy helping out and being part of something bigger than me. Plus I love the social connections I have formed as part of these groups. Chelsea and other visitors inspecting Hogwarts Home of Eggcraft and Hennery during the Coop Loop. Saturday, June 12th was Traverse City’s very first Coop Loop. I’m proud to say I was part of this event even though it meant adding more meetings to my busy calendar. This chicken parade of homes was a huge success and If I had to wager on it I would guess that around 200 visitors passed through my yard to meet the girls and inspect my husband’s handiwork. Luna, Hermione and Bella were in the chicken tractor in the front yard and Molly was in the coop since she’s recently taken to bullying the girls and needed a time-out. The separation actually worked out well. If the girls had all been in the coop, it would have been too crowded. Having chicken viewing in two parts of the yard allowed better flow for the guests. Tuesday we had a wrap up meeting to discuss how the tour went. We discussed what was really great about the tour, what we can change and how to make next year’s tour even better. So, for now my chicken meetings are done, but optional social meetings will be held monthly by the Coop Loop Founders until we start planning the next tour. Mark your calendar; next year’s tour is scheduled for the third Saturday in June. "What kind of chickens are they?" Ready for the Big House? A while back I told you that I won a scholarship to the Farm to Cafeteria conference in Detroit. I’m super excited, but going away for three or four days requires some planning. 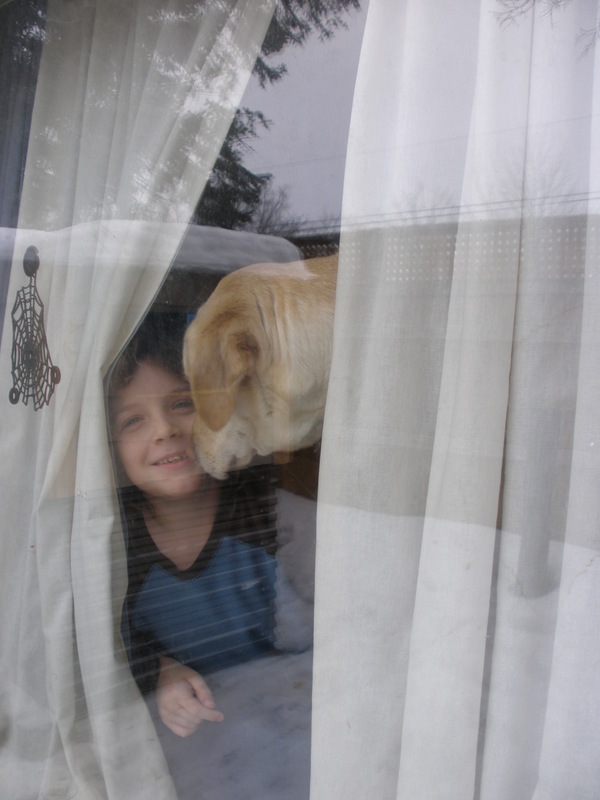 Like finding someone to watch the dog. And the chickens. I’m trying to keep this as simple as possible. 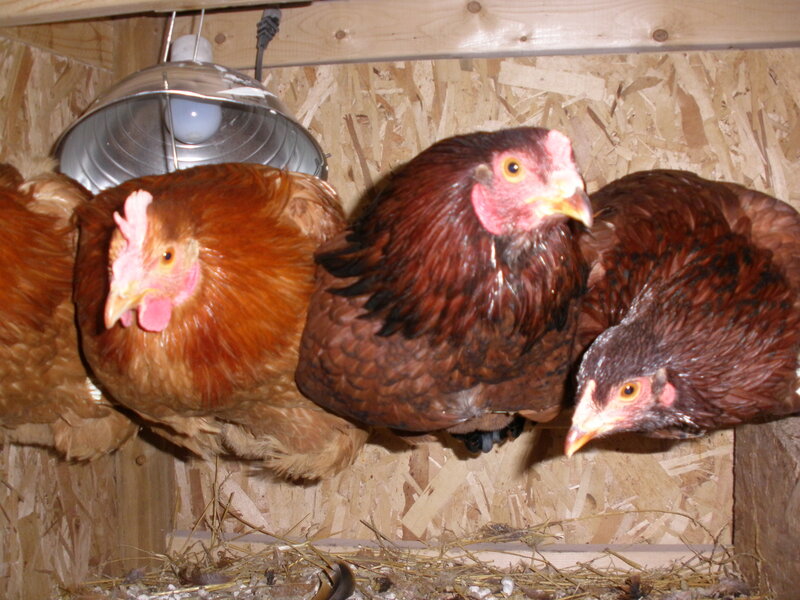 One hen in the coop and three in the brooder in the house kicking woodchips everywhere is not the easiest job. However, if they were all in one place, it wouldn’t be a bad job. In theory, the girls are ready to be sleeping outside. The rule of thumb is that new chicks need to be at ninety-five or a hundred degrees and that the temperature can decrease by five degrees a week until it hits seventy. At almost seven weeks old, we’ve reached that “safety zone”. Their down has been replaced with feathers and they haven’t needed the light in the brooder for a while. It seems like the stars have aligned. With the convergence of spring weather, the conference and the girls’ seventh week, I decided it was time. We’ve been slowly introducing the girls to Molly and allowing them to range together in the chicken run Mr. Hippie built for me but I was still worried about putting them together for good. Despite my fears, the girls spent their first night in the hen house last night. I had lots of anxious thoughts. Was it too cold? Would Molly be nice to the girls? The last time I checked the coop temperature it was fifty degrees even though the actual temperature was considerably colder. Seeing the girls huddled up in the corner didn’t make me feel any better though. I’m joking, but only a little. 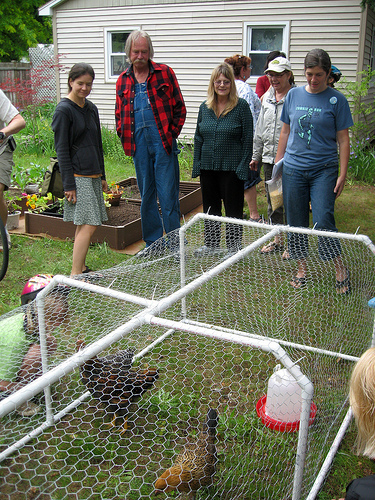 Yesterday I overheard a familiar face at the Farmers’ Market say, “She has the most famous chickens in town.” The ladies have already made the Northern Express and will soon be featured in Traverse City’s first Tour de Coop, but today the girls and I make our debut in the Record Eagle. Pick up a copy. Or ten. I’m out to get mine now. The finished backside of the coop~shingles and all! Last September, Traverse City joined a number of forward thinking communities that allow city residents to raise chickens. To celebrate, I’m joining a few other city chicken farmers and chicken enthusiasts to plan Traverse City’s first Tour de Coop. Imagine, a parade of homes for chickens! It’s sure to be a great time and is tentatively scheduled for June. Molly, the soon-to-arrive chicks and I are participating, but we’re on the lookout for other Traverse City Urban Chicken Farmers. Live in town? Have chickens? Want chickens? Just like chickens and want to help? Join us at Higher Grounds on Sat. March 20th at 10am for the first planning meeting. This guy will be there. So will this guy. She’ll be there too. Will you? The first egg from our only hen. And Ginny, good girl that she is actually laid the egg IN the nest box! She pushed all the straw out of the way, but it was in the box. 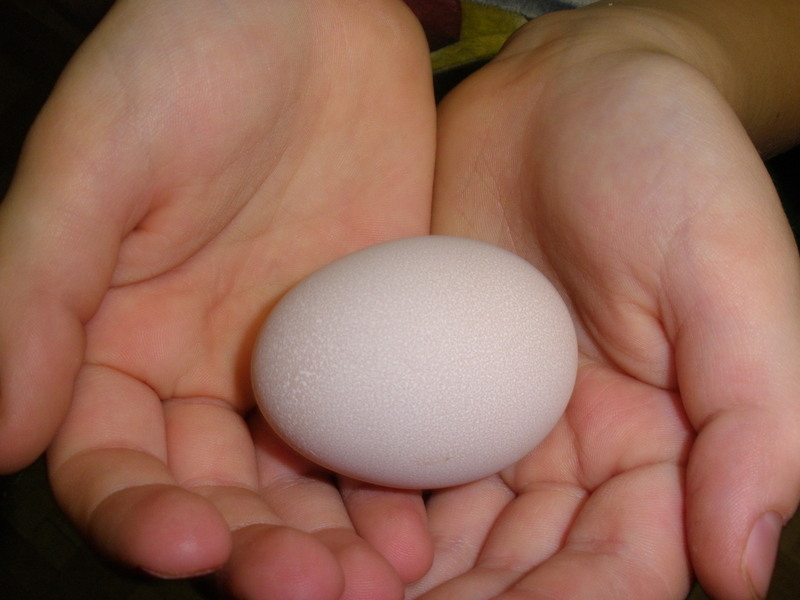 The egg is smallish, but they should get bigger as she figures out the whole egg-laying thing. What to do with this new egg? Traverse City Urban Chickens Finally Get Some Press! Do you think being famous will go to their heads? 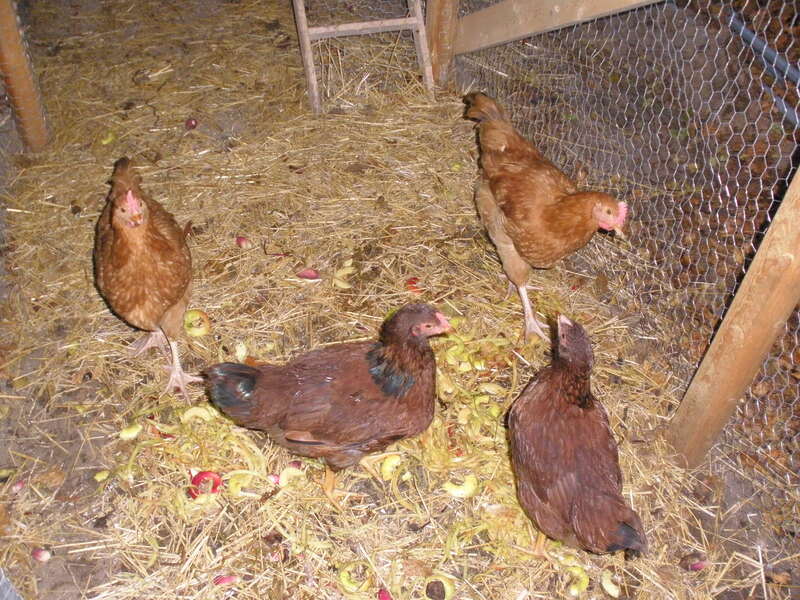 A couple of weeks ago I wrote a post called “Northern Express” about my interview with Noah Fowle discussing my chickens, and the growth of urban chicken farming since Traverse City changed its ordinance to allow residents to keep four hens. Well, I’m excited to announce that the article has arrived! Noah interviewed several chicken owners, soon-to-be chicken owners and city representatives, and discusses the many reasons people are interested in urban chicken farming from sustainable food to their novelty as pets. If you’re in Traverse or the surrounding areas, keep an eye out for the latest edition. You can pick them up FREE all over town but it’s only out for a week, so get it while you can. I plan to pick up a few copies for myself and my out-of-town family members. But, you can also read the article by clicking here. Enjoy! 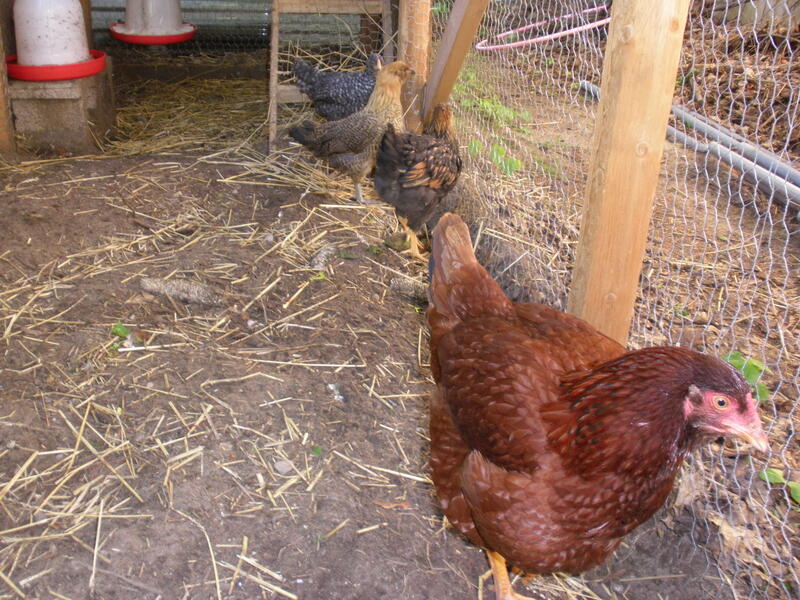 The coop has been done for a while now, but the weather has been intermittenly cold, rainy and sunny. Mostly cold and rainy. Last Saturday we were even blessed with a few wayward snowflakes. But, back to the point. The weather in Michigan isn’t always pleasant. Winter starts about now and ends around Mother’s Day. You probably think I’m joking. I’m not. So I’ve been a little worried about what effect the cold weather would have on the girls. I’ve been researching online to see what a safe temperature would be for the chickens. 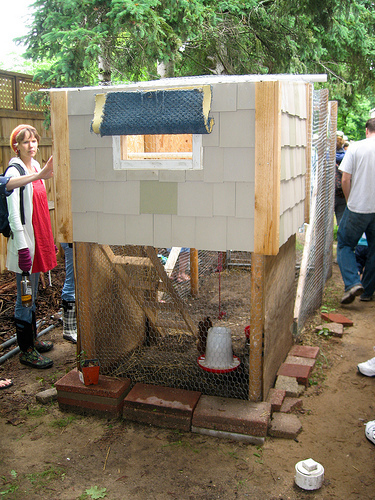 Most everybody suggests that you don’t heat your coop. 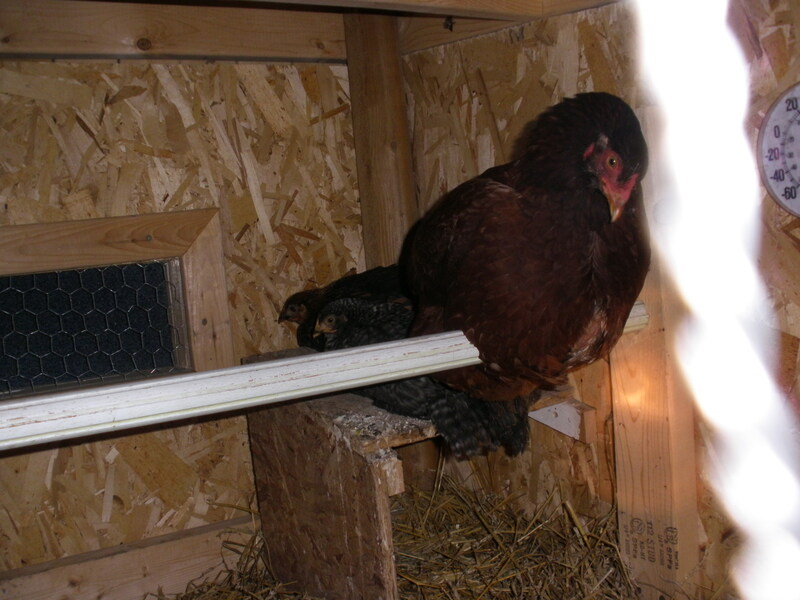 I believe that it’s probably safe not to heat your coop most of the time. But my girls are just chicks. Well maybe not chicks, but not quite chickens yet either. Chicks in a brooder are supposed to be kept at 100 degrees for a week. After that the temperature can be dropped five degrees each week until they reach a temperature of 70 degrees. Once they hit that 70 degree mark, they shouldn’t require heat anymore. My little girls only just hit the 70 degree mark. The outdoor temperatures at night have been in the 30-40 degree range. I don’t know about you, but if I was comfy at 70 degrees yesterday and you told me I had to be okay with 40 today in the same wardrobe, I might not be very happy. So, after much discussion, the hubby and I added a light to the coop. We started with a regular 100-watt bulb, but I didn’t like the idea of the girls being subjected to artificial daylight just to stay warm. 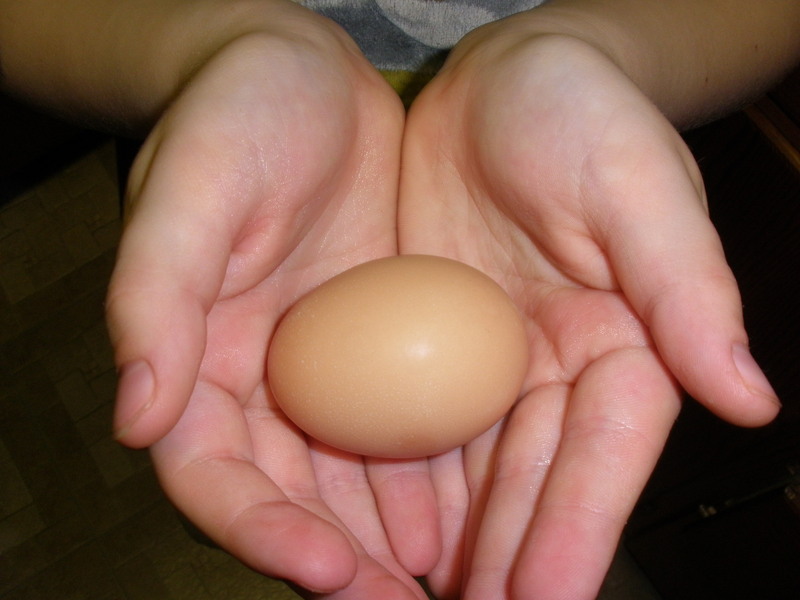 You see, a hen’s egg-laying is directly connected to the number of hours of daylight she receives. None of the girls are old enough to lay yet, but I don’t want them to be confused about day and night or mess with their future egg production. In search of something better, we ventured out to the pet store. We spent what seemed like hours looking at the various bulbs and heating systems. We found something we thought would work in the reptile department but after further research abandoned it. Finally we decided on a ceramic heat bulb that didn’t emit any light. 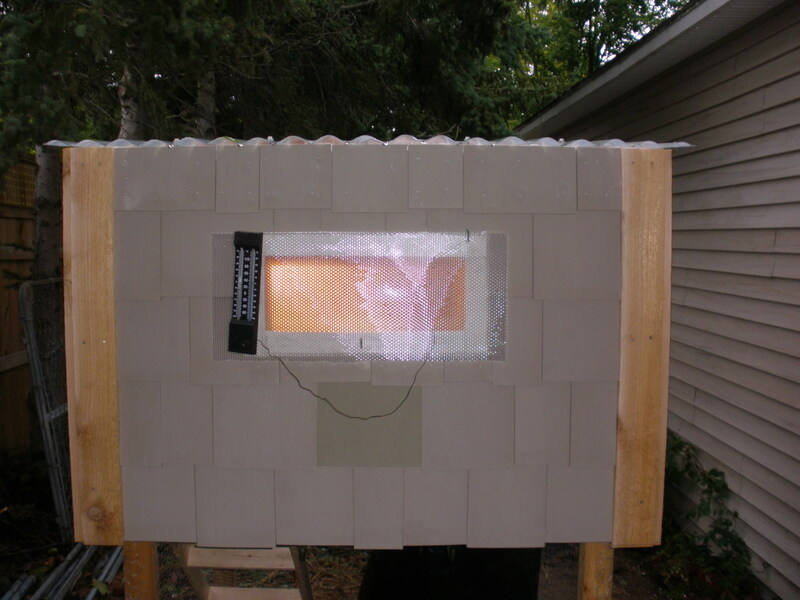 (Imagine a ceramic stove burner that screws into a light socket.) It was pricey, but we felt it would be safe and increase the temperature inside the coop significantly. We were wrong. At $35 bucks, you would expect it to be practically magic. We checked the temperature in the coop and screwed it in. We checked the temperature again. Nothing. So, we waited a few hours and checked again. Still nothing. After a day we decided it wasn’t going to work. Adam went back to the pet store and got the 250 watt red heat lamp instead. At less than half the price of the infrared ceramic heating unit, the heat lamp was a better deal and worked much better. The inside temperature was nearly ten degrees warmer than the outside temperature! The red bulb still emits some light, but not bright, white daylight so it shouldn’t affect the girls sense of time. Welcome to the Redlight District. I hadn’t thought about the glow from the coop but a friend of mine walks by the house every morning on her way to work. One day she mentioned how funny the glow of the redlight looked from the street. After some discussion we decided that my house is now in the Redlight District. We may not leave the light on all winter, but for now it stays on at least at night. Besides, I like calling all the girls “Roxanne” and singing Police songs to them.